The Zigbee based Wireless Sensor Network system is developed to gather atmospheric data in hazardous/remote areas. 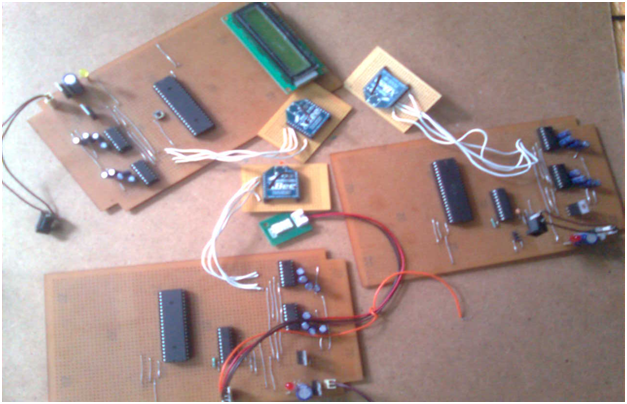 This embedded system project is designed using embedded technology. This project is designed with Atmega 8515 micro-controller , LCD, ADC, Zigbee, temperature and humidity sensors. 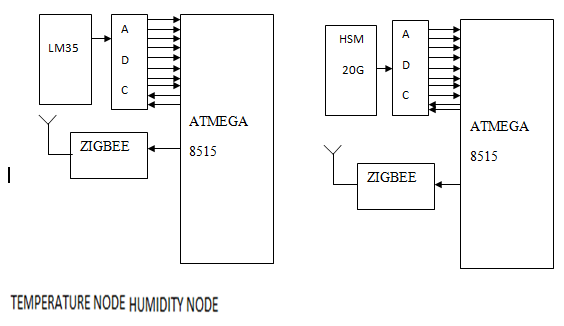 The Zigbee Based Wireless Sensor Network project involves designing and developing a transmitter and receiver section that can be used for data acquisition with the help of Zigbee modules. The receiver and transmitter are equipped with the micro-controller. At transmitter side, there are sensors to sense atmospheric physical parameters like temperature, humidity etc. We can use multiple such nodes with many sensors but for demonstration purpose only two sensors are used in this project. 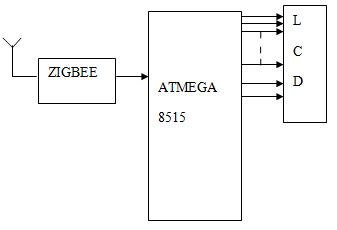 The data is then sent through zigbee module to transmit the signals. The receiver receives the signals and micro-controller decodes and analyzes it. The information is displayed with the help of a LCD. Zigbee is a wireless network used for home, building and industrial control. It has IEEE 802.15.4 wireless standard for low data rate network. With a maximum speed of 250Kbps at 2.4GHz, zigbee is designed for low power consumption. • Can be used in hazardous/remote areas. • Independent of line-of-sight communication. • Support for multiple network topologies. • Highly reliable, cost effective and compact in size.